Top: . . . far in the crimsoning east wakeful Dawn threw wide the shining doors of her rose-filled chamber. The Gates of Dawn (1900) by Herbert James Draper. It's the least the gods can do / Help us all make it through to another dawn (original 15 Days demo lyric). Just like a rose, dawn has a fragile evanescent beauty . . . but returns in the cycle of time. Bottom: They came down from the north in their waterproof clothes... Leaving the land of rain, The Stone Roses hit the capital in 1989. 15 Days is one of several Bob Dylan inspired tracks on the album. On 'Isis', from the 1976 album, 'Desire', Dylan takes the listener on a long journey through the desert and barren landscape, suffering, and life growth. 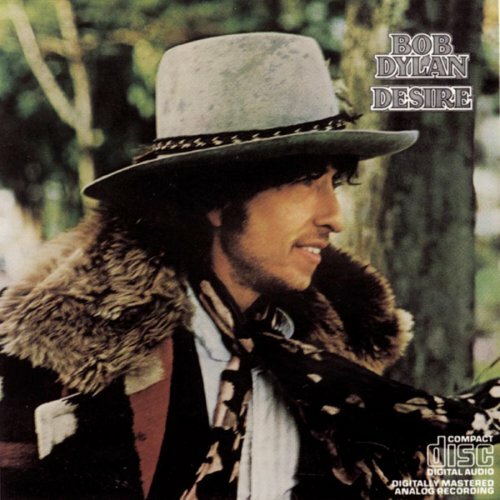 'Desire' (1976) by Bob Dylan. 15 Days, a Glass Onion-esque reminiscence of the Roses' journey, uses the theme of The Treasure of the Sierra Madre / Fool's Gold as its starting point. 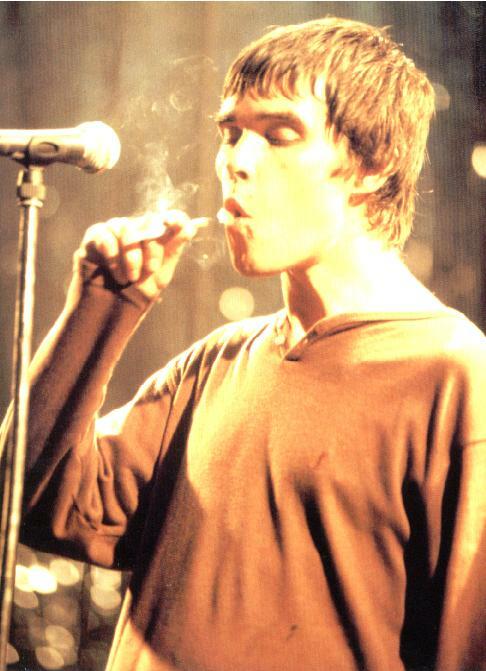 Ian Brown also considers Fool's Gold to provide a fitting career map for the band, in conversation with The Guardian in 2005. "I'm no clown I won't back down / I don't need you to tell me what's going down" is rewritten in the third-person narrative: "They didn't need anybody to tell them what was going down / No clowns". "Sundown start of week three" is the fifteenth day ("Winds on through the hills for fifteen days"), from which comes the title of the song. 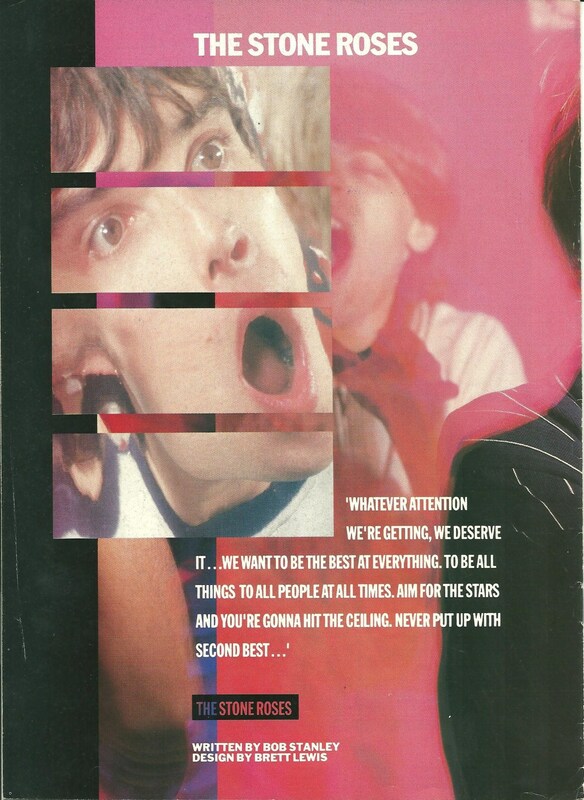 The fourth line of the opening verse ("They were riding for the Pistols and the Byrds that flew above them...") captures the ambition of The Stone Roses to join the esteemed ranks of their musical forefathers. Speaking to Mojo magazine in May 2002 (p. 84. ), John recalls, "We were looking at the Pistols and The Beatles and The Byrds and thinking we could have a go at them. We would just try and compete on that level. I couldn't really see any point in aiming low." Here begins the Squire's Tale. 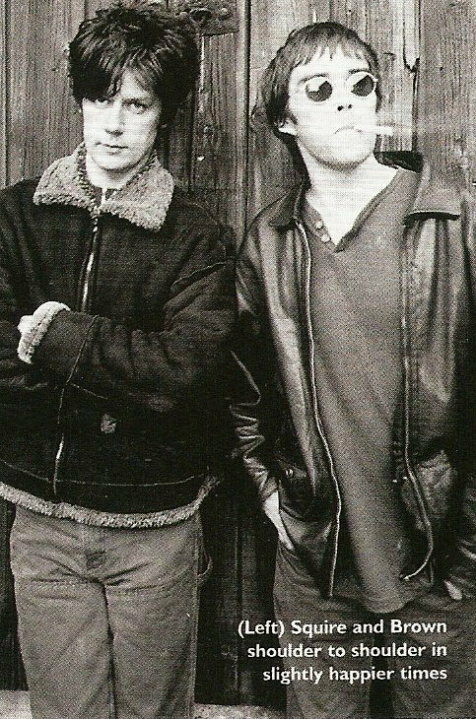 At the close of 1989, a 'Top of the World' themed NME feature at the Eiger finds Squire and Reni deliberating over Orion's Belt. Such a skyward trajectory of keywords (riding, pistols, birds) is formed here, in the conveyance of a Western landscape; this is a collective with vision, integrity (not in it for diamonds, silver or gold) and depth (a refusal to be shallow). Always aim for the moon - even if you miss, you'll land among the stars. Battling the elements, the group have little financial sustenance, but, importantly, possess an unshakable belief in their potential; still in the gutter, but with eyes fixed firmly on the stars. 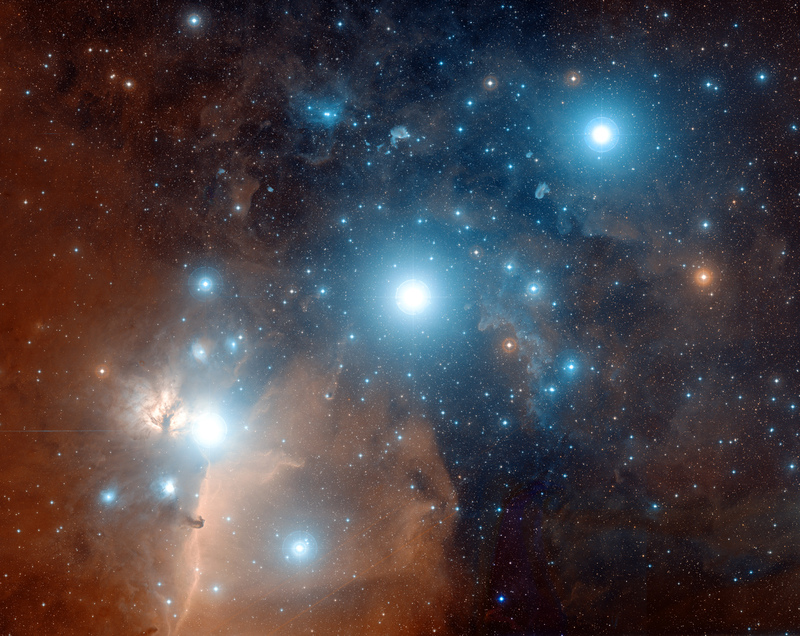 With a pocket full of faith and protected by providence, the musical stars align, and they are soon able to rest underneath the wide arm of the sky. This When We Were Kings attitude also imbues Mani's reflection on the high water mark achievement of the Roses' debut LP: "Twenty years on and it is still fresh and stands out amidst a torrent of mediocrity, career orientated, dull as dishwater, safe, unimaginative music that dares to challenge for our crown." (Mani, The Quietus, 18th August 2009). Walking tall against the rain - and looking to the classic '60s bands and punk for inspiration - The Stone Roses were trying to forge their identity amidst an '80s backdrop of heavy metal and glam metal ("...in the heavy metal sky"). This was nowhere more evident than at the band's Dublin McGonagles performance, on 31st May 1986. This gig in front of a heavy metal dominated audience ended in a riot. Squire playing the riff from Deep Purple's 'Smoke on the Water' was the catalyst; the crowd did not take kindly to this, thinking this Beach Boys-esque attired outfit in their striped black & white shirts were having a laugh at their expense. It is not for no reason that I draw comparison between Gareth Evans and Derek Trotter here. This booking by Evans was not unlike Del Boy securing Rodney's fledgling outfit a slot in the intimidating atmosphere of the Shamrock Club ! "I want a helicopter out of this, what do you want out of them ?" 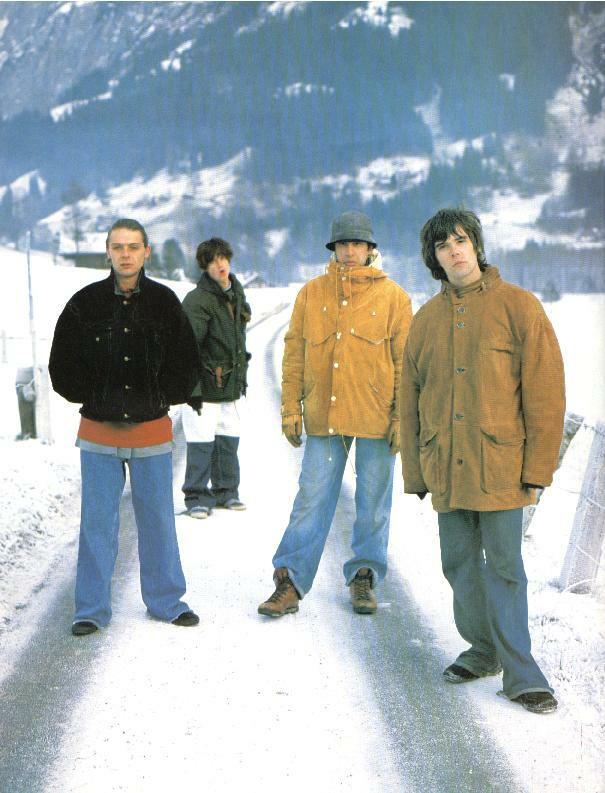 DAVE SIMPSON: "How Do You Sleep (on Second Coming) is arguably the finest song the Stone Roses have ever recorded. It's also the most vitriolic. Was it written about the Roses ex-manager Gareth Evans, who John described to me earlier today as 'a two-bit hustler who got caught with his hand in the till' ?" Top: After making headway, it seemed that even the gods were smiling on the group as they reached their peak. 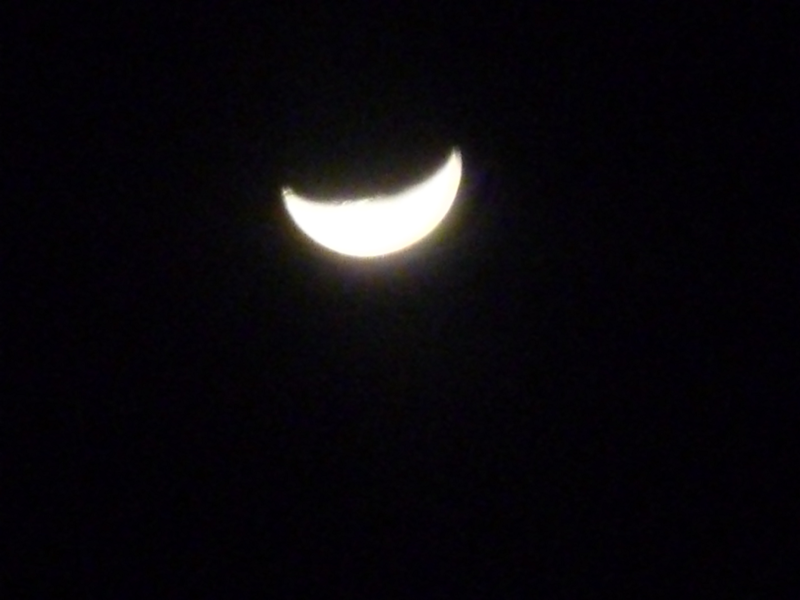 A waxing moon is when the moon is at its brightest, between the quarter moon phase and full moon phase. This is when the moon reflects the light of the Sun most. Once Gareth Evans ('Mr Shite Talk') takes the reins, however, the band's fortunes are, very soon, on the wane. As their dreams start to materialize, human nature begins to tear the men apart. 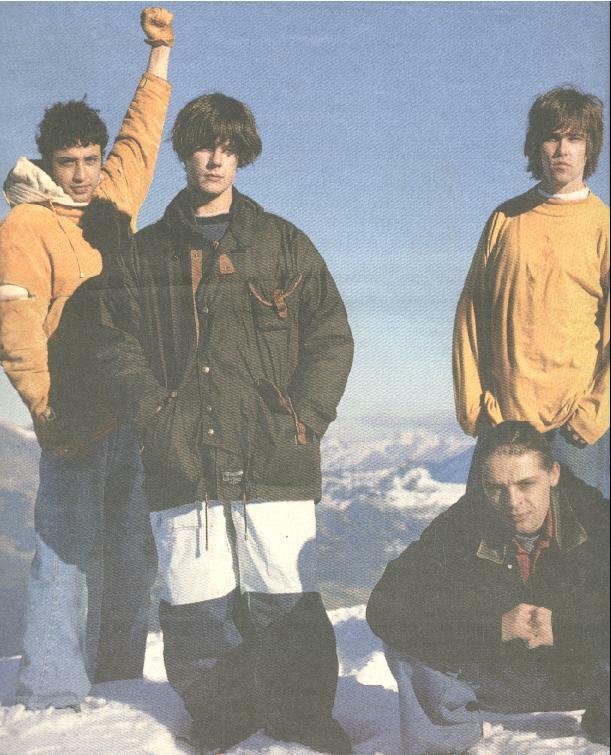 In terms of creativity, The Stone Roses did not explore any new territory after their groundbreaking Fool's Gold release, and remain since here. It's been the Emperor's New Clothes ever since. 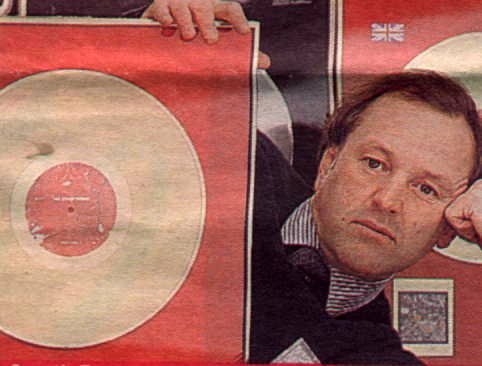 Bottom left: Ex-Stone Roses manager Gareth Evans in 1995, posing with a Gold Disc for The Stone Roses' debut. Evans is little more than a country bumpkin in the eyes of this squire, with "fat fingers in the till", dining out on a sizeable 33.3% cut of the band's earnings. One third in percentage terms is 33.3% recurring, and this informs the nature of Gareth Evans' nightmares (this is also the rotational speed of an LP). 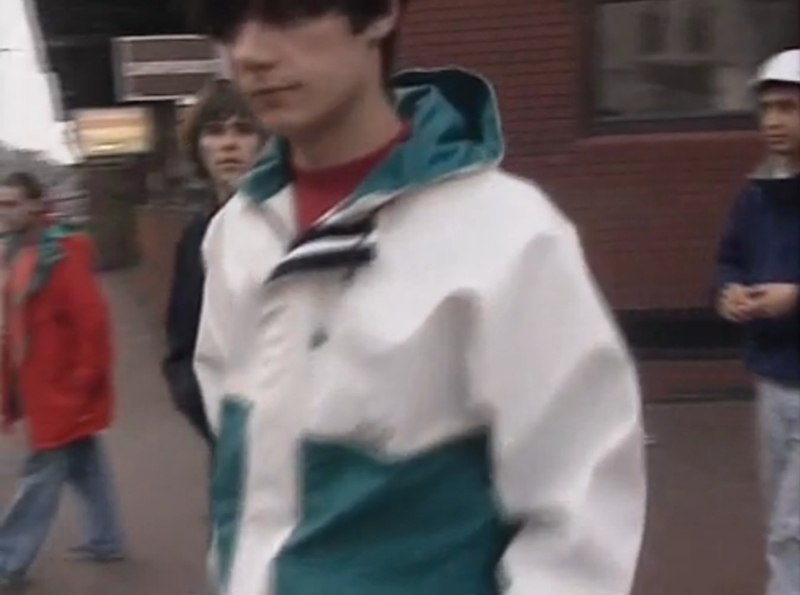 The court cases attended by The Stone Roses shone light on the small print of Silvertone's iniquitous contract, as it emerged that Evans had shrewdly secured this one-third portion for management on the basis that there were six key players in total - the four Roses, Evans, and Matthew Cummins (brother-in-law of Gareth Evans and co-manager of The Stone Roses). The 'country boy' (whose very nickname suggests that he is considered an unwelcome outsider by our narrator) alludes to Evans' place of residence; Evans always called his place 'the farm', and it was here that Ian Tilton photographed his 'Pollocked Glass' session with the band in September 1988. The quartet at this juncture of the story, mired in a court case with Silvertone, are stopped in their tracks. The band eventually emerged victorious, meaning that the record label were unable to profit here. Over the coming years, the rapacious Silvertone would, however, profiteer, in a relentless repackaging of the brand. Gareth Evans was eventually run out of town in a heated final encounter - Mani recalls seeing Evans skidding off in his jeep, with Ian and Reni in pursuit, trying to punch him through the window ! 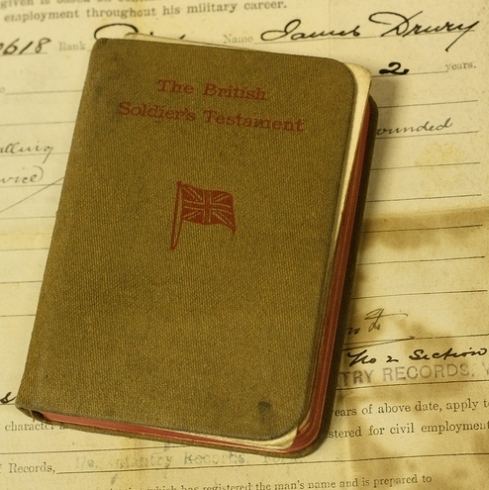 Bottom right: The final verse of 15 Days is an edited extract of The British Soldier's Testament. John's anti-royalist position sees a significant alteration to one particular line at a post-demo stage; "...true to our Queen, our country, and our colours" becomes "...cruel to our king, our colours and country". A shifty Evans 'bringing up the rear' uses military terminology to attack the manager's character; to bring up the rear originally referred to marching soldiers who moved along tentatively behind everyone else. Military analogy is also used against a former ally on the album's opening track. Puncturing the wistfulness and sentimentality of Squire's storytelling are two put-downs of his former songwriting partner, the first of which is the diagnosis of a persecution complex. John ends the track with the words, "You smoked it all away." 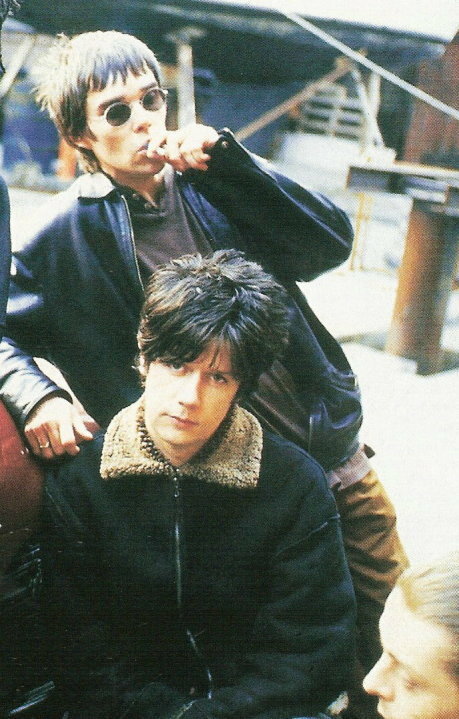 In interviews, Brown is often very critical of Squire's cocaine use circa Second Coming, citing it as the key factor in the relationship breakdown between the songwriting pair. This parting shot at Ian, John hopes, will serve to jog his memory, reminding the singer that his own cannabis use did little to facilitate a work conducive environment in the studio either. Ian blew it spectacularly at Reading, yet maintains that John, a big-time Charlie, blew it all away. According to John, Ian smoked it all away. Beneath all the acrimony, however, laid a love with a solid foundation. Stoned Love. "You smoked it all away..."
Speaking to Q magazine in February 2005, producer Simon Dawson recalls the impact of Brown's fondness for marijuana on the Second Coming sessions: "There was a problem with Ian and the amount of smoke he was doing at that time. It was affecting him head-wise. And when he was very stoned, it was very difficult to understand what he was saying." The producer's most vivid memory of this was when Ian suddenly decided to shave his head; in an effort to "hold it all together", Reni quickly followed suit. Squire concurs, "Ian smoked too much dope. When he was stoned, he was at best a tuneless knob and at worst a paranoid mess. That made it very hard to make a record." Cannabis slows thought and amplifies sensation, rendering the commonplace fascinating and making it hard to judge the worth of one's impressions. Cocaine stimulates increased physical energy and speed of thought.